On the 20th floor of one of the twin Elysée Towers, which in previous years enjoyed amazing views of the attractive Luandan harbour, a celebratory homemade Lebanese dinner is being served to guests who are washing it down with copious amounts of wine and champagne amid banter and off-the-cuff remarks about the existing oil price crisis, with some complaining how expensive Luanda is and how the current situation could exacerbate that. 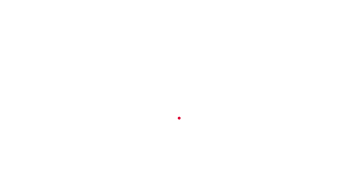 They include officials from the Multilateral Investment Guarantee Agency (MIGA – a wing of World Bank), high profile business executives, notably some senior directors from the Italian building giant Danieli, as well as senior Angolan government officials. It has been a long, hot day – especially for the host Georges Choucair, who built the Elysée Towers 12 years ago with a clear view of the ocean, now part obscured by a giant tower block under construction. New structures are everywhere one looks in Luanda – a clear indication that steel, a vital component in building and construction, must be in high demand. Choucair knows that, and is doing something about it. 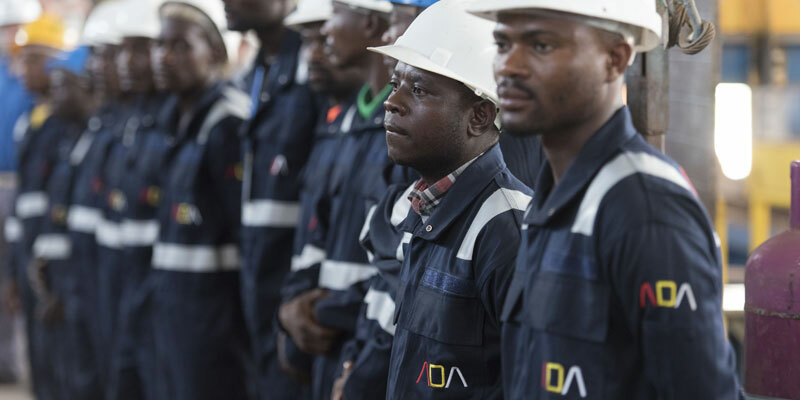 Earlier that morning, he had led these guests to join more than 600 other people, including Angola’s Minister of Economy Abrahão Gourgel and the First Lady Ana Paula Dos Santos, to the official opening of what he describes as “Africa’s biggest and most advanced” steel mill – Aceria de Angola (ADA). An ambitious initiative by the Senegal-born Choucair (who is the CEO of K2L Capital – one of Angola’s largest private equity investment firms that specialises in the steel industry, construction, distribution and real estate), ADA, his newest venture, rests on the Fouad Choucair Industrial Complex (named after his father) in the sparsely populated Bengo province, northeast of Luanda. Conceived back in 2009 – with a total of 267.57€m worth of investment (50% financed by Banco de Poupança e Crédito and the balance by private equity), topped by a high- profile seal of approval from MIGA – it was left to the renowned Italian building giants Danieli, hired by K2L, to build what is arguably one of the most impressive state-of-the-art steel rebar mills in Africa. MIGA issued a 15-year insurance guarantee of up to 62.61€m to cover risks such as expropriation, war or civil disturbance. Alluding to Angola’s history of civil conflict, which lasted three decades, and the resilience of its people, the business mogul told an excited crowd that had gathered for the opening how “The Angolan strength is made of steel”. “Today you must be proud of this steel mill,” he added to rapturous applause. Proud perhaps they were, because the crowd comprised some of the 600 locals that ADA has directly employed – all of them from Bengo. Joining in the cheering and clapping along was the First Lady. Although present to officiate and represent her husband, she did not address the crowd, but took a guided tour of the complex. And like everyone else touring, her expression did not conceal her delight at the scale and extent of the project. Rolls and rolls of high-end much-sought-after steel rebars were on display as the workers demonstrated how they are produced. “We are proud of what we have achieved here – it’s a fantastic project and we are optimistic it will be a huge success for Africa,” enthused Dario Fabro from Danieli. But for Choucair, pride is just part of the equation. He is a savvy businessman who sees opportunity in every challenge. “I came to Angola 23 years ago, leaving family and a healthy family business in West Africa. I came during the war, but I sensed the country’s potential and decided to take the challenge. I started by importing goods, until I got the opportunity to purchase an industrial bakery, and decided to introduce the French baguette to Angola. One day one of my customers said to me: your bread is different! This bread is so light and crunchy that I cannot stop eating it! I need to buy at least three to be satisfied! For me that was success calling,” he says. “I would import 100 tonnes of steel and everything would be sold out within a week. And that is how I entered the steel business. Since 1997, we have been developing the distribution of certified quality steel products that met the requirements of the promoters and project designers, and that’s how we grew that business,” he adds. With steel-importation now rolling in more hard cash than from the crunchy French baguette, Choucair explains how his father, who had vast experience in real estate development, encouraged him and his brother to invest in Angola’s real estate. By 2003, they had built what was then Luanda’s first modern skyscrapers: the Elysée Towers. But again, with ADA, he saw a business opportunity lying in one of Angola’s biggest challenges – coping with the tonnes of scrap metal, mostly of weapons of war, that are littered across the country, a legacy of the protracted conflict that pitched the Soviet Union (now Russia) backed ruling MPLA against the now almost defunct and rather ineffectual opposition UNITA party, mainly backed by the US. Angola also has one of the region’s greatest number of abandoned vehicles, disused mining equipment and even railway tracks, all of which are resources ADA will utilise, their recycling a bonus for Angola’s environment. And the fact that ADA has constructed a 50km electricity grid, and a 5km clean water system from the local Dande river, both of which are serving ADA and the community, for which the company has also built a complex of 500 houses for employees, shows a strong sense of corporate social responsibility. For the first phase of ADA therefore, Choucair intends to rely on indirectly employing over 3,000 scrap collectors, something he admits is more costly than mining iron ore, which he hopes to do in the not-too-distant future. But for now the clearing of scrap metal is already bearing fruit as the miles of rolls of steel rebar already produced and unveiled at the ADA opening demonstrated. The target is to produce 300,000 tonnes of steel rebar per year, which is what Angola imports annually, and hence ADA will aim at making the country self-sufficient in steel rebar production and help meet the needs of Angola’s ever-burgeoning construction and housing industries, while reducing the import bill by 267.57€m a year.